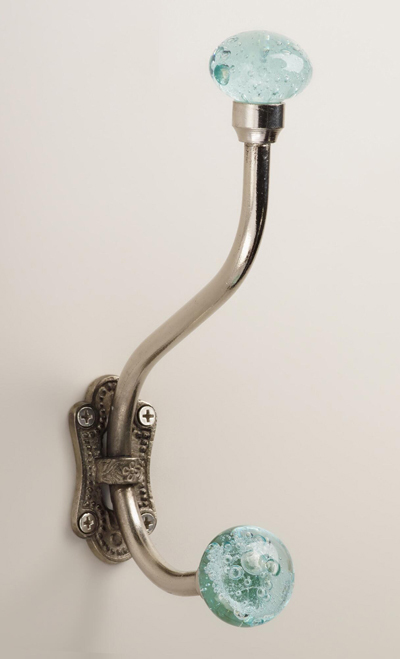 Add storage and a hint of color to any wall space with these Aqua Bubble Glass Double Wall Hooks featuring blue crackled glass knobs. 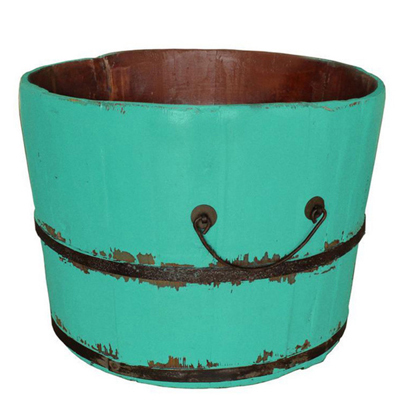 Ideal in the entryway, bedroom or bathroom. Set of 2. $19.98. Buy here. 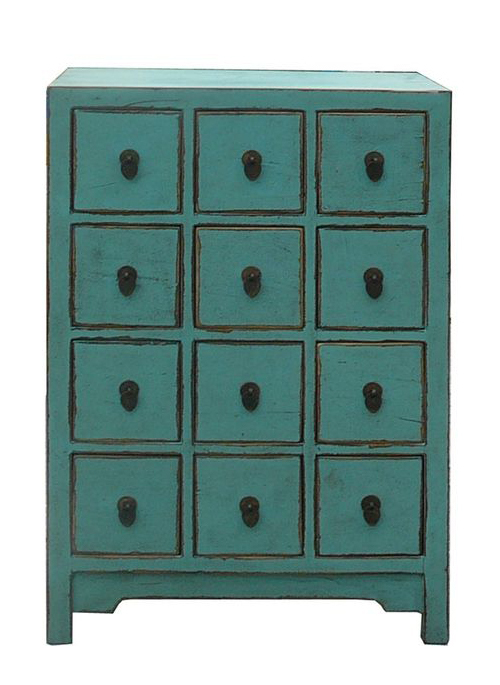 This Turquoise Bread Bin features a clever contemporary design with a vintage twist. 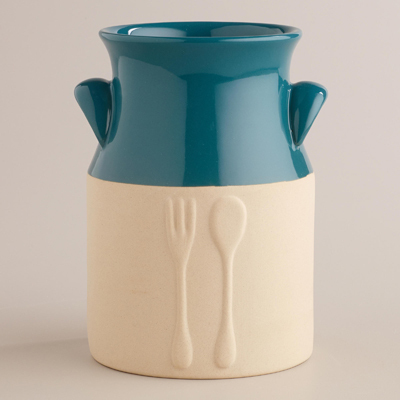 Made of durable powder-coated steel with an easy swing lid that lifts easily. Small holes at back allows air to circulate. $40.89. Free shipping. Buy here. Stack them, nest them, hide all sorts of things. 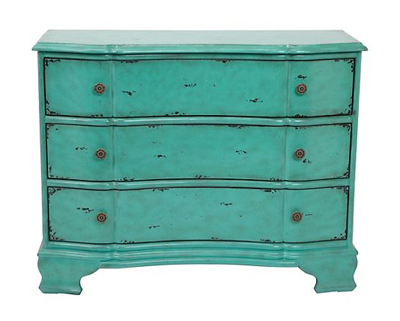 This classy Nesting Trunks Set is vinyl-covered MDF, fully lined with fabric. 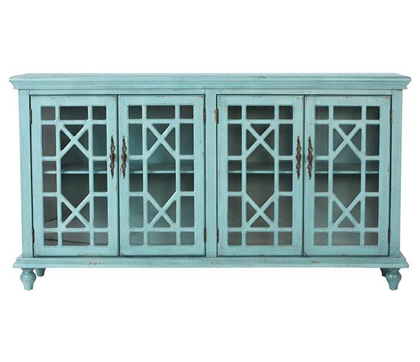 Metal latches and handles, faux leather trim with nailheads. $189.95. Buy here. This brightly colored Kalalou Neon Blue Wet Stuff Wall Hook serves as a fun and convenient reminder, helping family and friends keep your washroom organized. $76 Sale $42.46. Buy here. 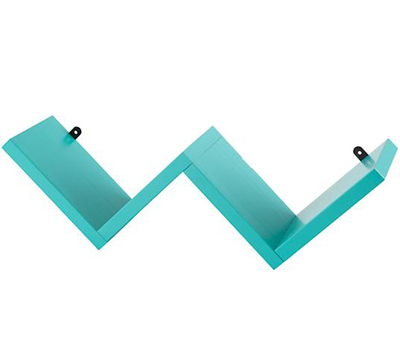 This Origami Wall Shelf is a great way to add a pop of color to any room in the house. Mix and match multiple shelves to create your own wall shelf display. 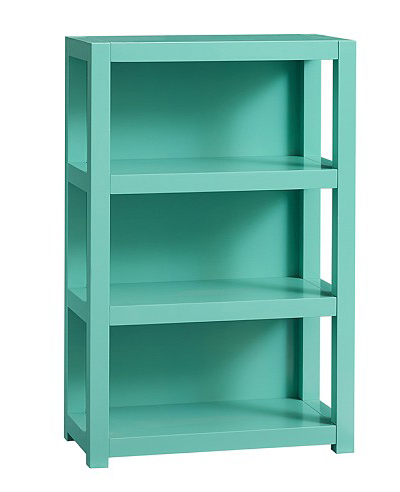 Each shelf holds up to 50 lbs. $24.95. Buy here. 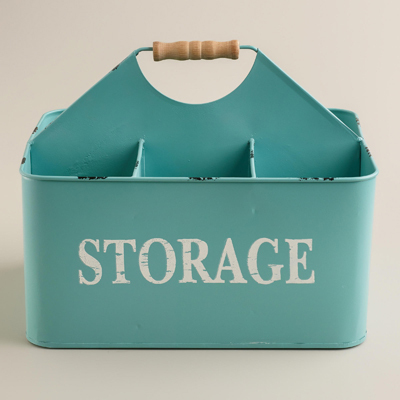 Ideal for any room in the home, the vintage-inspired Aqua Donna Storage Caddy features six slots to help keep you organized. 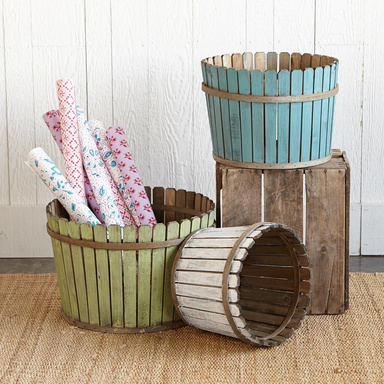 With a cute wood handle, it’s perfect for storing and toting cleaning supplies around the house. $24.99. Buy here. 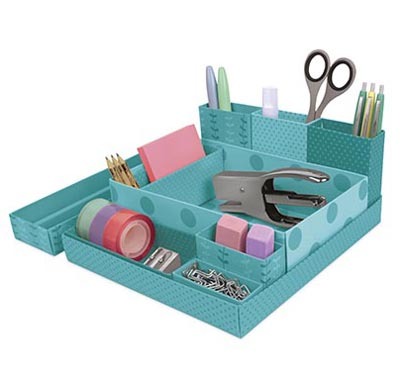 Organize and eliminate clutter with the Foldable Paper Desk Organizer. 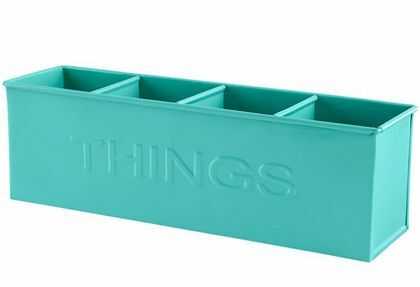 The multi-compartment organizer keeps supplies within easy reach. $10. Buy here. 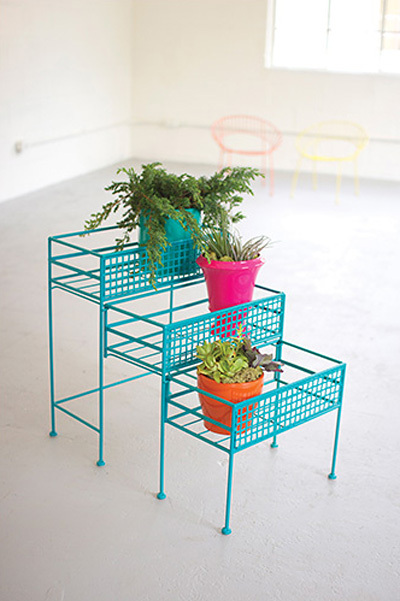 Sturdy and portable, the Aqua Mercado Baskets – Set of 2 are an inventive repurposing of plastic pallet strapping. A split bamboo rim adds a warm, rustic note. Nests for compact storage. $48. Buy here. 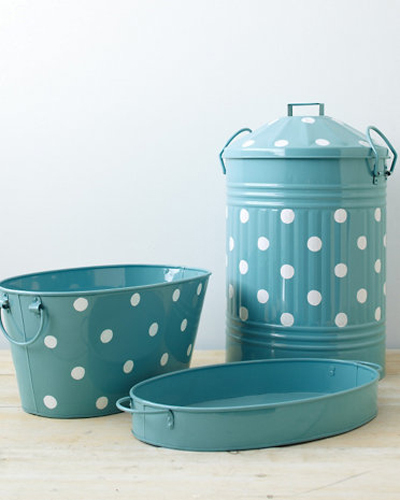 The Aqua Iron Things Bin has “THINGS” embossed into metal on front and back. 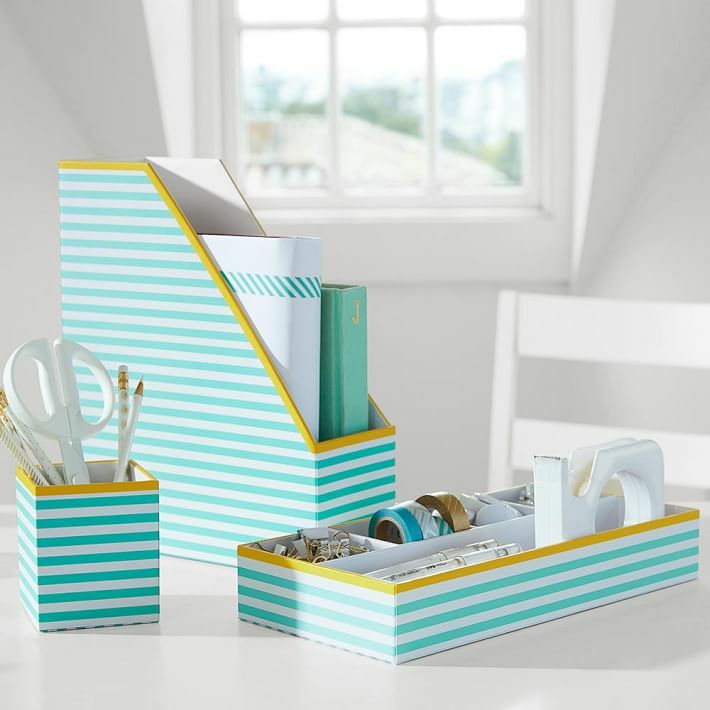 Great for storing markers, paper clips, or other small desk accessories. Metal magnetic surface. 12.75″Wx3.5″Dx4″H. $9.95. Buy here.